Recent struggles with non-compliance of the Transient Occupancy Tax took center stage at the Placer County Board of Supervisors meeting on Monday, Oct. 23. At the meeting, the board approved a motion to invest 100 percent of lodging taxes generated in North Lake Tahoe to support tourism and implementation of the county’s 2015 Tourism Master Plan for the region. It’s been the board’s long-standing practice to invest the tax dollars collected from short-term lodging providers in eastern Placer County back into the communities in which they’re located. The Transient Occupancy Tax (TOT) was originally voted on in 1996 to be collected county-wide on overnight lodging occupancies of 30 nights with the tax rate set at 8 percent. Later in 1996, voters approved an increase of the tax to 10 percent for the North Lake Tahoe collection area. The 10 percent rate has been reauthorized twice by the board in 2002 and in 2012. The tax assists in funding projects, such as transportation services, construction and maintenance of bike trails, recreation and visitor serving facilities, and snow removal. “Bike trails continue to be at the top of any list that we conduct around capital project development here in the community, so we’re really focusing in on that,” said Erin Casey, senior management analyst for North Lake Tahoe. 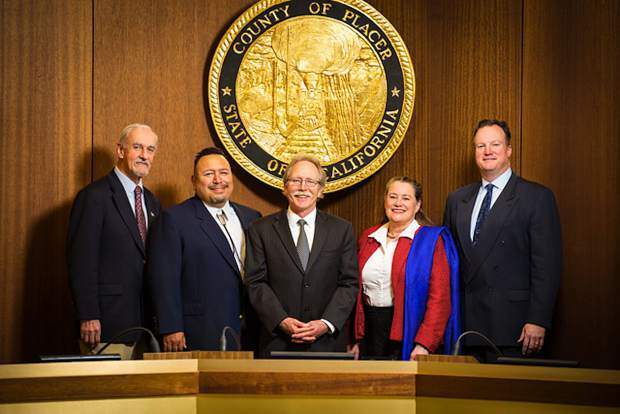 Placer County has been having trouble with compliance of the county’s lodging tax ordinance. In 2016, they contracted with the firm Host Compliance LLC of San Francisco, to help find and identify non-compliant properties. They have since identified 1,200 non-compliant properties and have assisted Placer County with registering those properties and then collecting the back tax due. Of the 1,200 properties discovered, 850 have been contacted, and 464 of them have since registered and paid their back tax, resulting in $850,000 in new revenue for the county. Because of these efforts, overall lodging tax revenue increased by $1.45 million in the last year, or about 9 percent more than the previous year. In order to assist Host Compliance with its efforts, the board approved a one-year contract extension with the company, with a payment amount that is not to exceed $210,000. The contract runs from Nov. 1 through Oct. 31, 2018. The board also approved the allocation of lodging taxes for two new projects in the Tahoe region. The first will be for the continued development of the Squaw Valley Ski Museum project, for which Placer County will provide $125,000 to complete the project’s third phase of environmental planning, architectural design, museum display planning, and ongoing public outreach. The second project is for improvements to the North Tahoe Region Park in Tahoe Vista. The county will contribute $135,000 for trail upgrades, new signage and replacement of damaged fitness station equipment. “We’ve heard loud and clear from the community that the focus of the county’s and resort association’s continued partnership has to be on including the broadest possible input into prioritizing projects, and that’s exactly our plan,” Casey said.